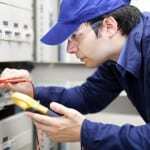 You can always call us when you need a commercial emergency electrician in Indian Trail. 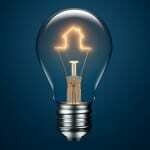 When you think of the tasks that you do every day in your office or other commercial building, many of those tasks probably require electricity to tackle. Computers, tools, and equipment all typically require electricity to work properly. If you struggle with spotty electrical wiring or fuses that are constantly blowing due to excessive usage, you and your team members will struggle to cross items off your to-do lists. Between the lower levels of productivity and the concern of safety in a space without proper electrical wiring, you could put yourself and others within the building at risk. But when you have an urgent concern with your electrical components, it’s not smart to wait for normal business hours. Leaving an electrical problem in your office and heading home for the evening could lead to a serious concern or even start an electrical fire. You can always call us at Lamm Electric when you need a commercial emergency electrician in Indian Trail, North Carolina. Every commercial emergency electrician on our staff is fully licensed and has at least 20 years of experience in the electrical industry. We also have a firm understanding of the unique needs of commercial structures, which tend to have higher volumes of usage because of additional computers and other pieces of equipment that are constantly in use. Our team members are available 24 hours a day, 7 days a week for urgent concerns, so when you’re in search of a commercial emergency electrician, contact us right away. At Lamm Electric, our commercial emergency electricians proudly serve Charlotte, Belmont, Huntersville, Indian Trail, Matthews, Mint Hill, Harrisburg, and Mt. Holly, North Carolina.